During sewing the garments, sewing thread drawn-off hamper deeply to the garments production and quality of garments. Normally, sewing threads in the needle move at a speed from 140-160km per hour during running of sewing machines. It can reduce the strength of sewing thread 2 to 32% due to the friction between the threads and different parts of sewing machine. For this reason, sewing thread inspection is very important before buying the sewing thread from the market. 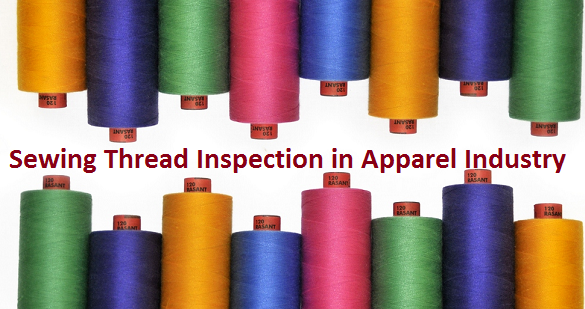 As its importance in readymade garments industry, this article has shown some key inspection matters which ensures the right quality of thread. (b). Sew-ability of sewing thread. In apparel manufacturing industry, ticket number is a commercial numbering system. Normally, ticket number is the manufacturer’s reference numbers for the size of a given thread. In fact, the size or count of sewing thread is called ticket number. The following are the tests done to identify thread construction or ticket number.